By the end of the eighties Madonna had released four successful studio albums, a remix album and some movie soundtracks. She had already scored eight #1 hits in the US, seven in the UK and Canada, and eleven in Japan. With the Blond Ambition Tour Madonna's success was higher than ever; the timing for a greatest hits album was perfect. 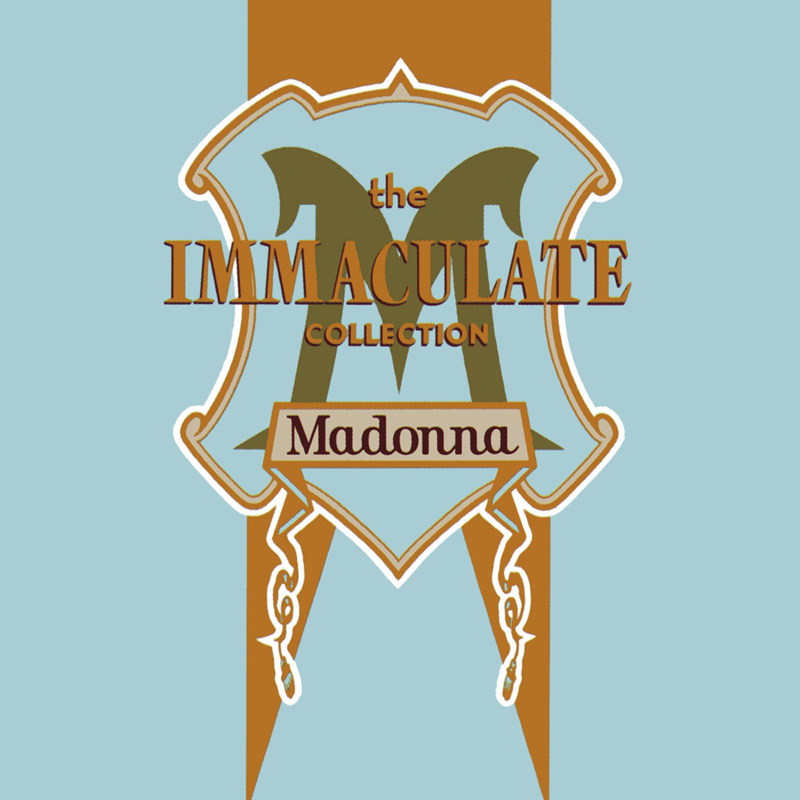 On November 13, 1990 (and on the 9th in the US) Madonna released The Immaculate Collection. The cheeky title referred to the Byblical 'immaculate conception' and showed Madonna's sense of humour after all the religious controversy surrounding her single Like A Prayer. On top of that she dedicates the album to "The Pope, my divine inspiration" (though some claim she was referring to her brother Christopher, whose nickname was 'The Pope'). The compilation album contained 15 of her greatest hits. Chronologically there were three singles from the first album, two singles from Like A Virgin, four singles from True Blue and three singles from Like A Prayer. There was also Crazy For You, which previously featured on the Vision Quest soundtrack. Into The Groove was from Desperately Seeking Susan, but had also appeared on the re-issue of Like A Virgin. Vogue was her latest #1, coming from I'm Breathless. Rather surprising was the absence of Who's That Girl, a #1 hit in the US, UK, Canada and Japan, and True Blue, which hit #1 in the UK and Japan and #3 in the US. 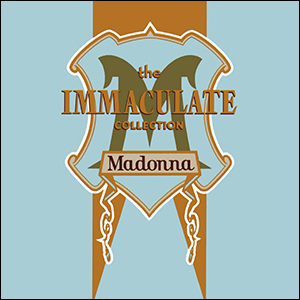 Shortly after The Immaculate Collection was released, there was a CD single released, called 'The Holiday Collection', which contained the original album version of Holiday, plus three 'forgotten' tracks True Blue, Who's That Girl and Causing A Commotion (Silver Screen Single Mix). The tracks that did make the selection were mixed by Shep Pettibone, Goh Hotoda and Michael Hutchinson. Most notable are the different versions of Like A Prayer, Express Yourself and Vogue. To boost album sales, the compilation also contained two brand new tracks, which were both released as singles. Madonna collaborated with rock-star Lenny Kravitz for Justify My Love, which became a huge success and one of Madonna's most controversial singles (especially because of the video). Rescue Me often disappears in the shadow of that first single, but is a very powerful Madonna song, often underestimated. The greatest hits album shot to the top of the album charts. While it dominated the charts in Australia, Canada and the UK for several weeks, it stalled at #2 in the US and France. To date it has sold over 25 million copies worldwide, making it the best selling Madonna album and the best selling female greatest hits album ever. In October 2001 the RIAA honored Madonna with a Diamond Award, denoting shipments of more than 10 million copies of The Immaculate Collection in the US. It was Madonna's second Diamond Award after receiving one for Like A Virgin in 1998. In the UK it was certified 12 times Platinum in January 2003, where it remains the 12th best selling album ever with more than 3.5 million copies sold.